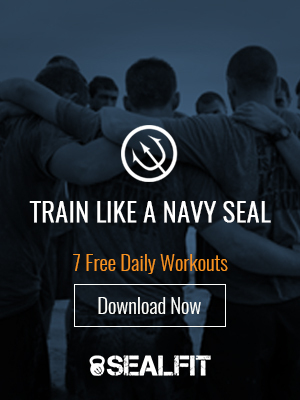 Welcome to this week’s installment of SEALFIT TV, combined today with the SEALFIT blog. On this Memorial Day let us salute the institution that has shepherded the west to prosperity and is poised to preserve the coming age of great abundance. It is the US Military. The Navy advertises themselves as “A Global Force for Good.” Recruiting bravado yes, but it speaks a truth that applies to the entire US Military and allied forces. That truth is the Military power of the United States ushering in the greatest period of abundance in known history. The US Navy, since WWII, has been ever present projecting and balancing power with its various numbered fleets of destroyers, fast frigates, carriers and subs prowling the seven seas. Their global deployment posture has been unmatched in history and has deterred countless aggressive tendencies of leaders hungry for power and ready to dampen freedom’s ring. The Navy is backed by the US Marines who have punched power ashore when statements needed to be made or fast defense of strategic interests was required. The US Air Force watched from above, finger on the trigger, to rain support from the sky, and the US Army put boots on the ground where a longer stand was required. Since the end of the Cold War the US Military held position as a uni-polar power – meaning there was no military peer. It did not abuse that power, contrary to the expectation of our so-called enemies. Now Russia and China are emerging as regional military powers and we are facing a chaotic and multi-polar world once again. But I believe that American power projection will continue to be the primary determining factor in the preservation of order in the world – an order that will allow freedom and a globally conscious capitalism to flourish. Helped put men on the moon, satellites in space and explored the worlds oceans. Took a leading role to keep communism at bay and then see it’s demise in the Soviet Union. Led the re-building of a free Europe and East Asia after WWII. Ended the reigns of the world’s most ruthless anti-freedom fighters – to include Adolf Hitler, Saddam Hussein and Osama Bin Laden, for example. Responded without hesitation to natural disasters around the globe – providing life-saving supplies, personnel and medical support. Maintained back channel relations with military peers from enemy states, helping prevent catastrophic miscalculations. Helped to develop artificial intelligence, robotics, advanced electronics and human performance technologies in partnership with academic and commercial ventures – technologies which stand to transform the human condition in the next 20 years. Took lead roles in freeing global citizens from brutal regimes and guiding their transformation into modern representative societies (an ongoing, messy experiment!). It easy to take these accomplishments for granted. Those who serve do not – for it is on their backs that the work was done. Too many individuals and families of the US Military (and their allies) have paid the steepest price in service to freedom in world. We stand on the ramp looking at exponential innovation and global opportunity, yet also face a growing list of threats to our very existence. The abundance brought to the forefront by technological advances seems to be met with equal measure fear and creative destruction. For instance an estimated 40% of today’s fortune 500 companies will be displaced by start-ups within 5 years. And major stress fractures are showing in 20th century bureaucratic institutions. Thus as we humans race toward a digitized, mobilized and personalized global economy, the risk of catastrophic economic, environmental and international crises appears to be rising. Having said that, I believe the future is bright. To see it we must come together to stare down fear and stand up to the challenges. We must feed the courage wolf and do our part to lead our families, teams and tribes toward abundance and away from scarcity and negativity. Also, we can make a difference by saluting and supporting the sheepdogs serving on the oceans and at the dangerous edges of humanity. It is they who keep freedom’s boundaries safe…and expanding.